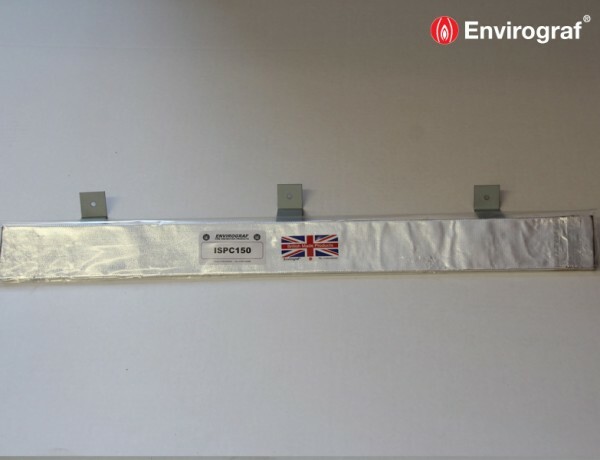 A cylindrical strip of foil-clad intumescent material which is wrapped around a pipe or cable, then fixed to the wall with adjustable brackets. A lightweight and easily-adjustable alternative to our heavy-duty intumescent collars. Place ISPC collar around pipe on risk side of room. Make holes in wall and insert plugs. Push metal clips over collar with equal spacing between clips. Put screws through clips and fix. Tested at Efectis 18th June 2012, achieving 2 hours fire protection and insulation.